Be the first to share your favorite memory, photo or story of Jerri. This memorial page is dedicated for family, friends and future generations to celebrate the life of their loved one. Jerri Ann Johnson of Buchanan passed away Saturday, September 29, 2018 at her residence. She was born in Dallas, July 24, 1962, daughter of the late Clarence Fields and Linda Bone Fields. She worked twenty-five plus years as manager of Piggly Wiggly and worked four years in produce at Ingles. In addition to her parents, she was preceded in death by a brother, Charles Edward Fields; her mother and father-in-law, Ellis and Bonnell Johnson. Survivors include her husband, James E. Johnson; a daughter and son-in-law, Amanda Nicole and Matthew Wayne Collins; brother-in-law and wife, Kenneth and Susan Johnson; sisters and brothers-in-law, Janet and Bobby Willingham, Tammy and Mickey Skelton; two grandchildren, Hartley Ann Collins and Kennedy Ellisyn Collins. The family will receive friends at the funeral home Sunday from 5:00 until 9:00 PM. Services will be Monday, October 1 at 1:00 PM from the chapel of Hightower Funeral Home with Reverend Wendell Rush and Reverend Corky Addison. Andrew Burrell, Chris Burrell, Wesley Willingham, Dustin Skelton, Dane Skelton and Reed Garmon will serve as pallbearers. Interment will follow in Draketown Cemetery. Share your thoughts and memories in our guest book at www.hightowerfuneralhome.com. 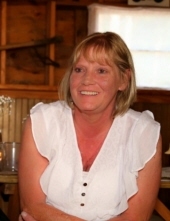 To plant a tree in memory of Jerri Ann Johnson, please visit our Tribute Store. "Email Address" would like to share the life celebration of Jerri Ann Johnson. Click on the "link" to go to share a favorite memory or leave a condolence message for the family.